Forgive me, for I have shopped. And shopped. And then shopped just a tiny bit more. In my defence, I turned 22 this month, so thought I deserved a couple of treats from eBay or my new local (and amazing) charity shop. Fair season is also just winding down for the summer, so this was my last chance to use my manager status to grab some serious finds at our kilo sales across the country. Ah, perks of the job eh? Grab yourself a cup of tea, this is going to be a whopper! I put this little collage first because it's made up of four items I've been desperately after for ages! 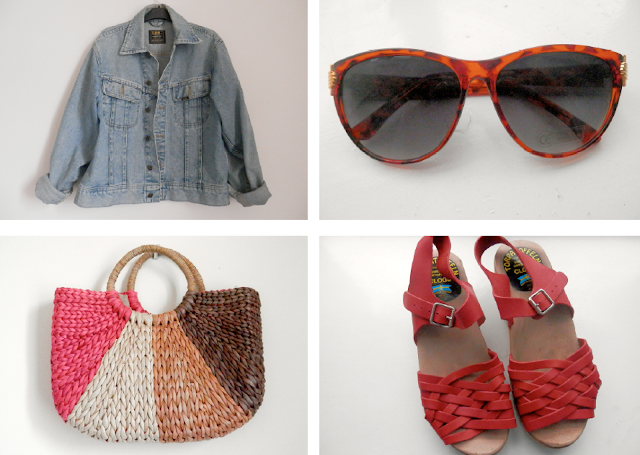 The denim jacket and sunglasses are both such classic shapes that should remain fairly timeless, and the bag was such a retro-inspired steal that will be perfect for weekends out. The clogs were my cheeky 'birthday present to self' and cost more than I'd normally spend on eBay, but considering they had only been worn once previously and normally retail at around double the price, I'm pretty chuffed! Bonus point - they don't look stupid with tights. Win! Mustard is my all-time favourite hue, and both of these garments have been worn to death since they arrived. 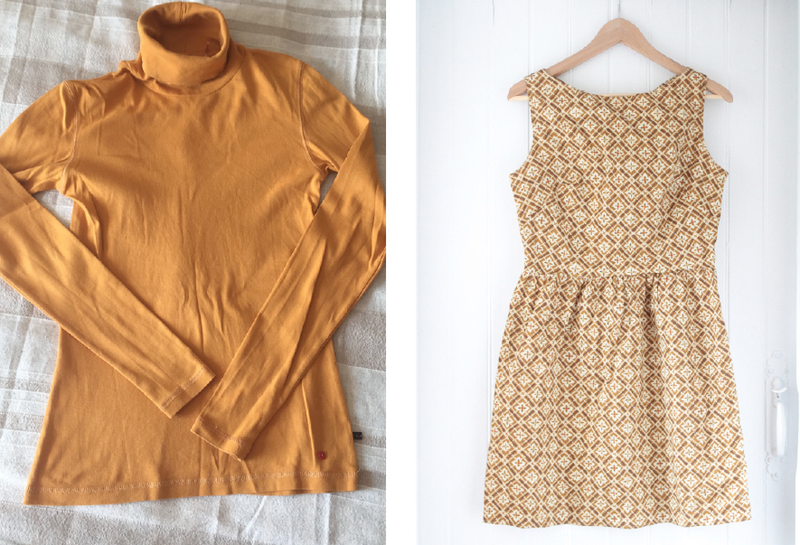 The roll neck top is great for layering under dresses to create a 60s/70s vibe, while the dress might be my new favourite dress of all time - such a delicate retro pattern and a really flattering shallow neckline. Bless the lovely folk at Glass Onion - they gifted me this beautiful dress for my birthday! It's a little bit er, skimpy in the chest department, but nothing a small crop top can't resolve. My crappy camera really doesn't do the vibrant embroidery justice. At the other end of the spectrum, this waistcoat was so seventies I couldn't resist it - great for throwing on over a corduroy skirt and long sleeved top. 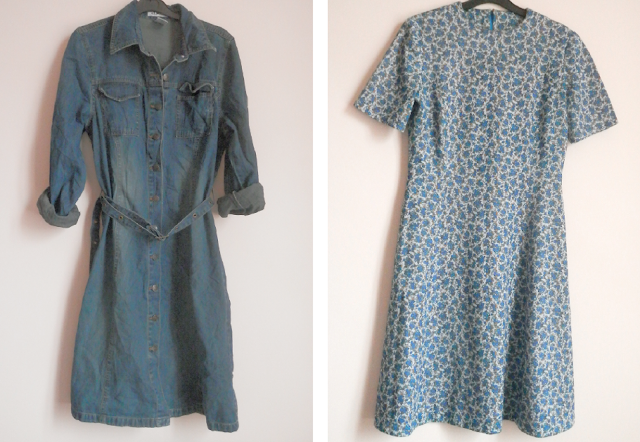 Finally - I got my hands on a denim dress! I was worried the wash of this one might be a bit too dark but after a quick rinse it came up lovely. 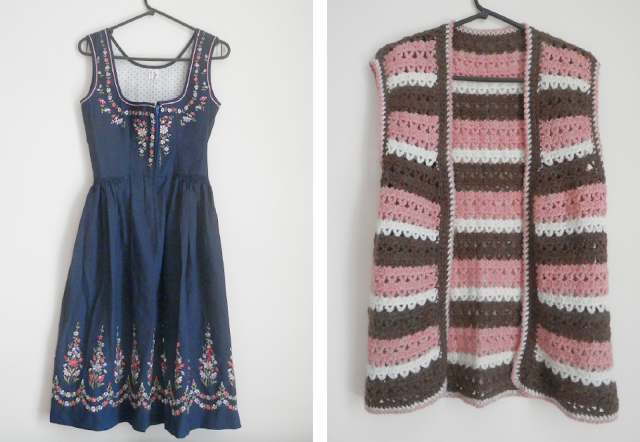 And yet another gorgeous handmade dress - eBay seems full of them at the moment! I wore this one to work and got lots of kind compliments. 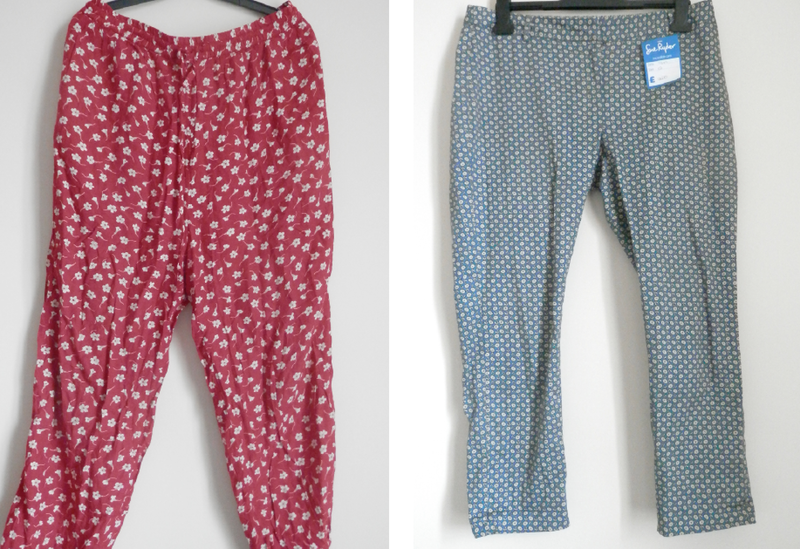 Everybody needs a pair of slocuhy trousers to wear when they're tired or feeling a bit ill and pms-like, and these red floral ones fit the bill perfectly. Sure, they're not the most flattering thing in the world on, but they are fun and crazy comfy and that's all I care about. 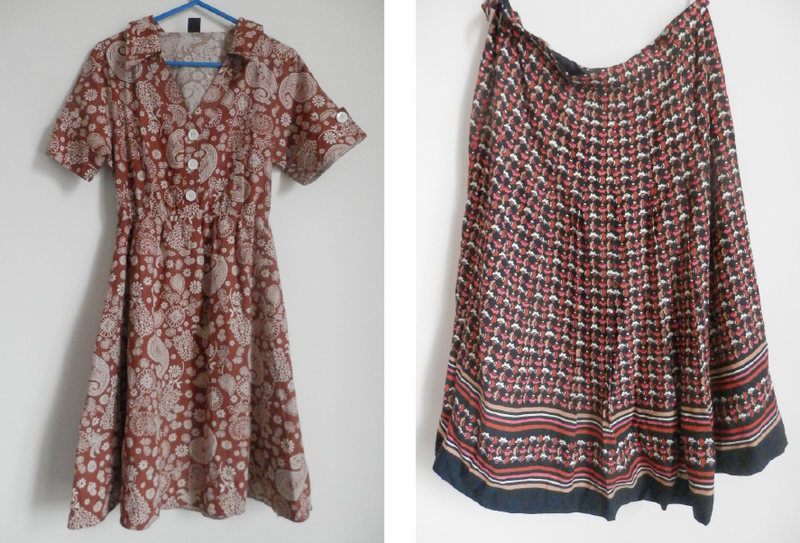 At the more fitted end of things, I couldn't believe it when I saw these fitted Topshop trews for just £4 - they are in immaculate condition and look great with just a vest and a cardigan for simple summer wear. I won't talk too much about this dress as it got a whole post of it's own here, but the Orla Kiely blouse might be one of my best eBay snags ever - so cheap for such a big name! The colours are really great and it's a perfect option for days where you can't be bothered to put together a complicated outfit. Brown has recently become my friend, so these two beauties may have slipped into my kilo bag when I was working in Edinburgh. 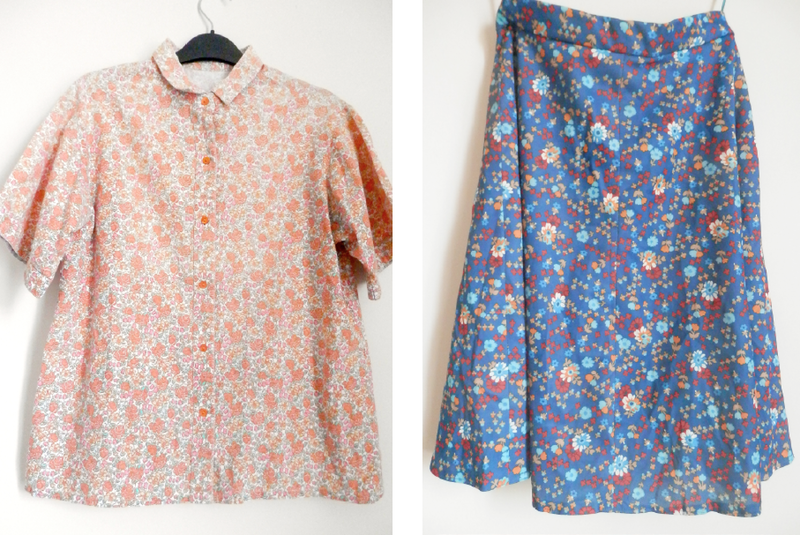 The first one is a little short but very cute, whereas the skirt skims my calves and twirls in a decidedly ladylike fashion - both great for summer. Everybody loves florals! Easy to wear, great for injecting some colour and equally brilliant for using as background in blog photos when you're not wearing them. Lots of vintage fans get a bit snippy about polyester,but as long as it isn't itchy, I love it - it holds its shape really well, the colours stay nice and bright and they dry really quickly out of the washer without much need for ironing. You heard it here first - polyester is a lazy girls best friend. 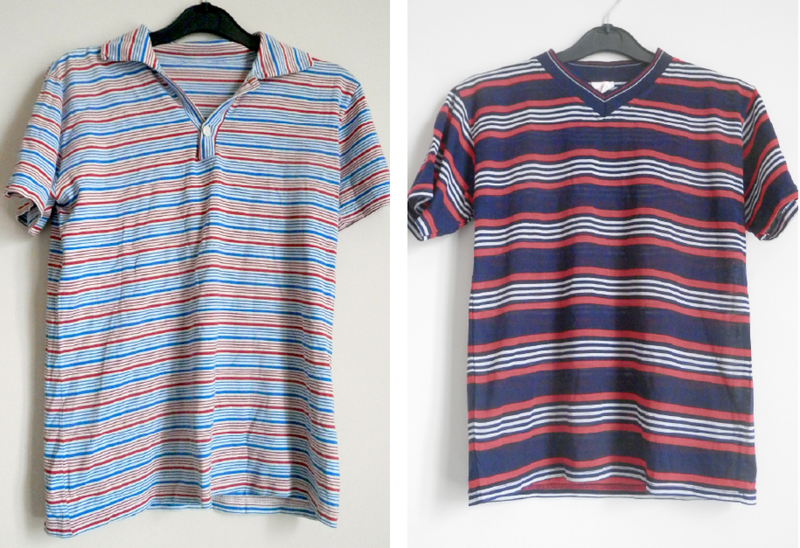 Last but not least, this little t-shirts are so similar to what Urban Outfitters are currently selling, but a teeny tiny fraction of the price! They look great with jeans or tucked into a-line skirts for 'boy meets girl' laid back style - the sort of thing that would be really easy and practical for festivals. I'm really happy with all my finds this month and think I am suitably stocked up for a bit of a clothes ban over summer! 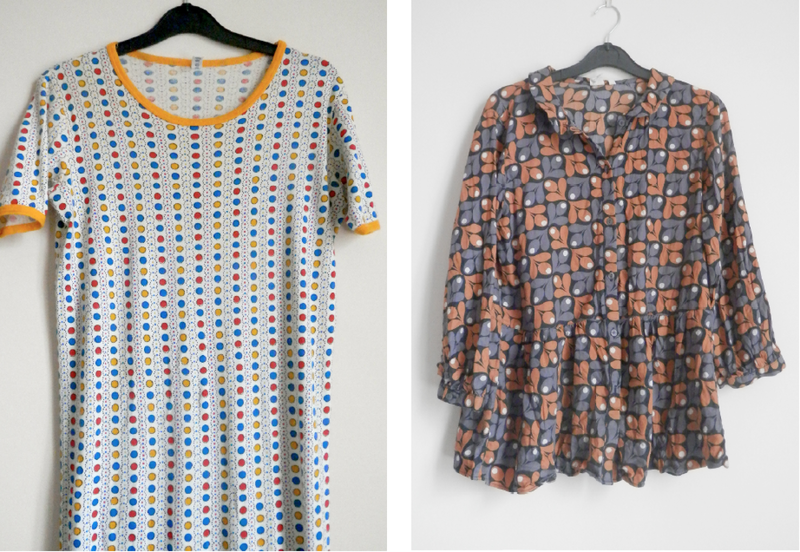 I'm looking forward to integrating these pieces into my newly 70s-orientated wardrobe and getting rid of even more old items lurking in corners of my flat. Wish me luck!